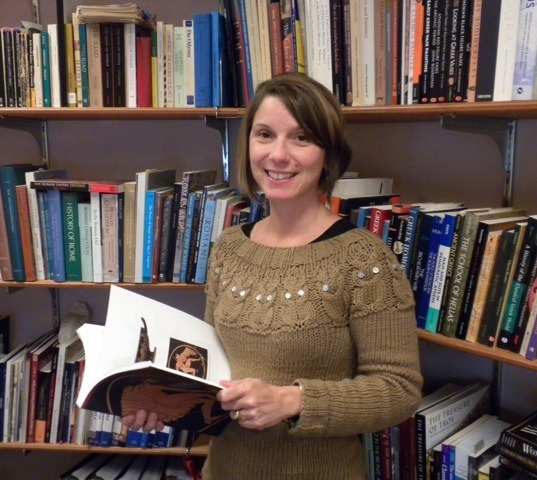 Kathleen Lynch is Associate Professor of Classics at the University of Cincinnati, and has also taught at Washington University in St. Louis, Southern Illinois University, and the University of Missouri. She is a specialist in Greek pottery, particularly vase-painting and the social aspects of pottery, and has completed fieldwork in Albania, Greece, and Turkey. She earned her Ph.D. and her M.A. at the University of Virginia, after completing her undergraduate work at Boston University. She has published widely, and has received numerous awards, grants and fellowships for her work.